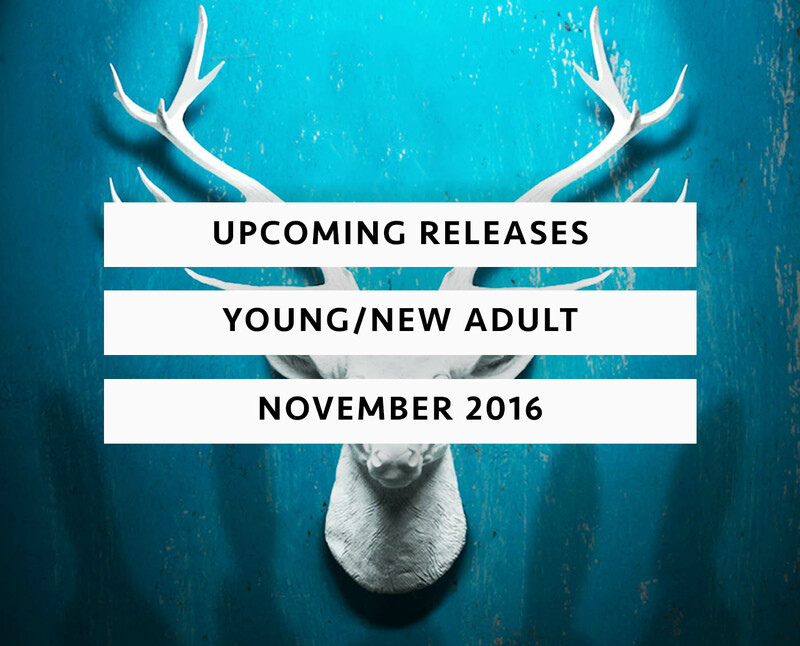 New month, new upcoming releases. I have a list of 13 anticipated books coming up. Stephenie Meyer rose from the dead, we can finally get rid of Claudia Gray (Sorry, just kidding. 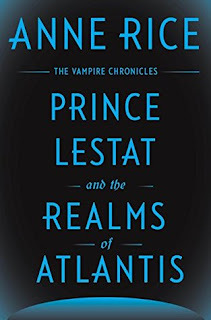 Perhaps you actually liked the Firebird series) and Cassandra Clare and J. Lynn both present their book of the month. Which of these books made it onto your TBR? Natasha: I’m a girl who believes in science and facts. Not fate. Not destiny. Or dreams that will never come true. I’m definitely not the kind of girl who meets a cute boy on a crowded New York City street and falls in love with him. Not when my family is twelve hours away from being deported to Jamaica. Falling in love with him won’t be my story. Daniel: I’ve always been the good son, the good student, living up to my parents’ high expectations. Never the poet. Or the dreamer. But when I see her, I forget about all that. Something about Natasha makes me think that fate has something much more extraordinary in store—for both of us. The Universe: Every moment in our lives has brought us to this single moment. A million futures lie before us. Which one will come true? A million universes. A million dangers. One destiny. The fate of the multiverse rests in Marguerite Caine’s hands. Marguerite has been at the center of a cross-dimensional feud since she first traveled to another universe using her parents’ invention, the Firebird. Only now has she learned the true plans of the evil Triad Corporation—and that those plans could spell doom for dozens or hundreds of universes, each facing total annihilation. Paul Markov has always been at Marguerite’s side, but Triad’s last attack has left him a changed man—angry and shadowed by tragedy. He struggles to overcome the damage done to him, but despite Marguerite’s efforts to help, Paul may never be the same again. So it’s up to Marguerite alone to stop the destruction of the multiverse. Billions of lives are at stake. The risks have never been higher. And Triad has unleashed its ultimate weapon: another dimension’s Marguerite—wicked, psychologically twisted, and always one step ahead. A Diabolic is ruthless. A Diabolic is powerful. 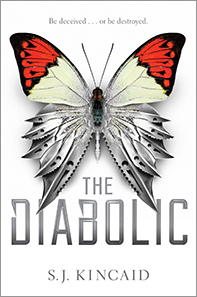 A Diabolic has a single task: Kill in order to protect the person you’ve been created for. Nemesis is a Diabolic, a humanoid teenager created to protect a galactic senator’s daughter, Sidonia. The two have grown up side by side, but are in no way sisters. Nemesis is expected to give her life for Sidonia, and she would do so gladly. She would also take as many lives as necessary to keep Sidonia safe. When the power-mad Emperor learns Sidonia’s father is participating in a rebellion, he summons Sidonia to the Galactic court. She is to serve as a hostage. Now, there is only one way for Nemesis to protect Sidonia. She must become her. Nemesis travels to the court disguised as Sidonia—a killing machine masquerading in a world of corrupt politicians and two-faced senators’ children. It’s a nest of vipers with threats on every side, but Nemesis must keep her true abilities a secret or risk everything. As the Empire begins to fracture and rebellion looms closer, Nemesis learns there is something more to her than just deadly force. She finds a humanity truer than what she encounters from most humans. Amidst all the danger, action, and intrigue, her humanity just might be the thing that saves her life—and the empire. 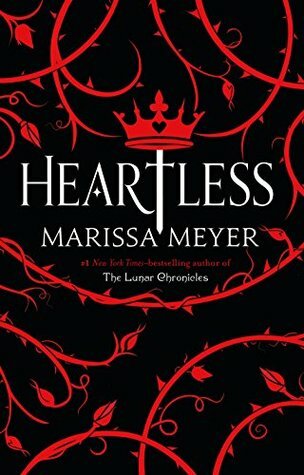 Long before she was the terror of Wonderland — the infamous Queen of Hearts — she was just a girl who wanted to fall in love. Catherine may be one of the most desired girls in Wonderland, and a favorite of the yet-unmarried King of Hearts, but her interests lie elsewhere. A talented baker, all she wants is to open a shop with her best friend and supply the Kingdom of Hearts with delectable pastries and confections. But according to her mother, such a goal is unthinkable for the young woman who could be the next Queen. 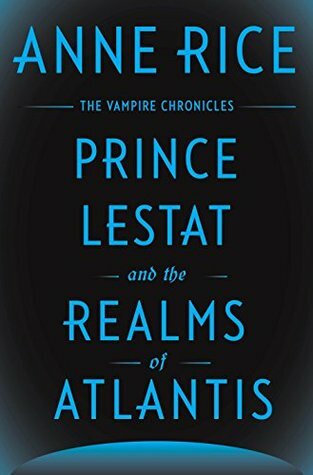 At a royal ball where Cath is expected to receive the king's marriage proposal, she meets Jest, the handsome and mysterious court joker. For the first time, she feels the pull of true attraction. At the risk of offending the King and infuriating her parents, she and Jest enter into an intense, secret courtship. Cath is determined to define her own destiny and fall in love on her terms. 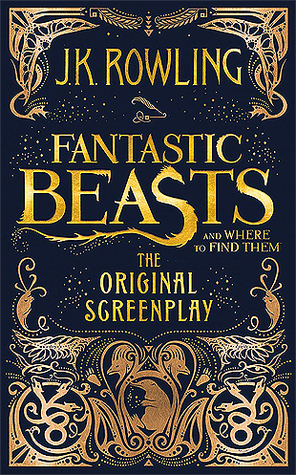 But in a land thriving with magic, madness, and monsters, fate has other plans. In this gripping page-turner, an ex-agent on the run from her former employers must take one more case to clear her name and save her life. She used to work for the U.S. government, but very few people ever knew that. An expert in her field, she was one of the darkest secrets of an agency so clandestine it doesn’t even have a name. And when they decided she was a liability, they came for her without warning. Now, she rarely stays in the same place or uses the same name for long. They’ve killed the only other person she trusted, but something she knows still poses a threat. They want her dead, and soon. When her former handler offers her a way out, she realizes it’s her only chance to erase the giant target on her back. But it means taking one last job for her ex-employers. To her horror, the information she acquires only makes her situation more dangerous. Resolving to meet the threat head on, she prepares for the toughest fight of her life, but finds herself falling for a man who can only complicate her likelihood of survival. As she sees her choices being rapidly whittled down, she must apply her unique talents in ways she never dreamed of. Two o’clock was missing. 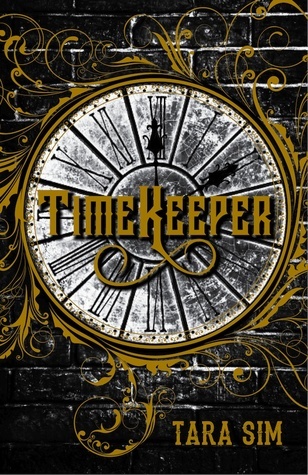 In an alternate Victorian world controlled by clock towers, a damaged clock can fracture time—and a destroyed one can stop it completely. It’s a truth that seventeen-year-old clock mechanic Danny Hart knows all too well; his father has been trapped in a Stopped town east of London for three years. Though Danny is a prodigy who can repair not only clockwork, but the very fabric of time, his fixation with staging a rescue is quickly becoming a concern to his superiors. And so they assign him to Enfield, a town where the tower seems to be forever plagued with problems. Danny’s new apprentice both annoys and intrigues him, and though the boy is eager to work, he maintains a secretive distance. Danny soon discovers why: he is the tower’s clock spirit, a mythical being that oversees Enfield’s time. Though the boys are drawn together by their loneliness, Danny knows falling in love with a clock spirit is forbidden, and means risking everything he’s fought to achieve. But when a series of bombings at nearby towers threaten to Stop more cities, Danny must race to prevent Enfield from becoming the next target or he’ll not only lose his father, but the boy he loves, forever. Simon Lewis has been a human and a vampire, and now he is becoming a Shadowhunter. 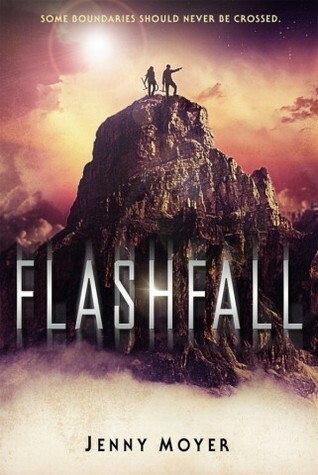 The events of City of Heavenly Fire left him stripped of his memories, and Simon isn’t sure who he is anymore. So when the Shadowhunter Academy reopens, Simon throws himself into this new world of demon-hunting, determined to find himself again. Whomever this new Simon might be. But the Academy is a Shadowhunter institution, which means it has some problems. Like the fact that non-Shadowhunter students have to live in the basement. At least Simon’s trained in weaponry—even if it’s only from hours of playing D&D. 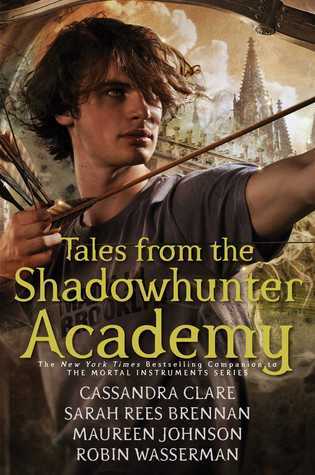 Join Simon on his journey to become a Shadowhunter, and learn about the Academy’s illustrious history along the way, through guest lecturers such as Jace Herondale, Tessa Gray, and Magnus Bane. 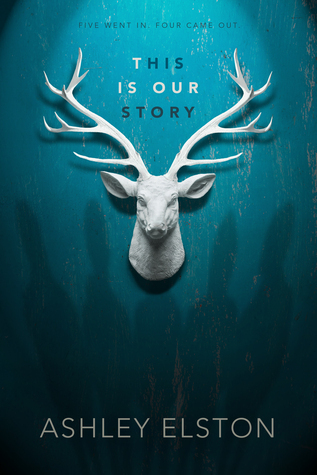 Written by Cassandra Clare, Sarah Rees Brennan, Maureen Johnson, and Robin Wasserman, these moving and hilarious short stories are perfect for the fan who just can’t get enough of the Shadowhunters. No one knows what happened that morning at River Point. Five boys went hunting. Four came back. The boys won’t say who fired the shot that killed their friend; the evidence shows it could have been any one of them. Kate Marino’s senior year internship at the District Attorney’s Office isn’t exactly glamorous—more like an excuse to leave school early that looks good on college applications. Then the DA hands her boss, Mr. Stone, the biggest case her small town of Belle Terre has ever seen. The River Point Boys are all anyone can talk about. Despite their damning toxicology reports the morning of the accident, the DA wants the boys’ case swept under the rug. He owes his political office to their powerful families. Kate won’t let that happen. Digging up secrets without revealing her own is a dangerous line to walk; Kate has her own reasons for seeking justice for Grant. As she and Stone investigate—the ageing prosecutor relying on Kate to see and hear what he cannot—she realizes that nothing about the case—or the boys—is what it seems. Grant wasn’t who she thought he was, and neither is Stone’s prime suspect. As Kate gets dangerously close to the truth, it becomes clear that the early morning accident might not have been an accident at all—and if Kate doesn’t uncover the true killer, more than one life could be on the line…including her own. Orion is a Subpar, expected to mine the tunnels of Outpost Five, near the deadly flash curtain. For generations, her people have chased cirium—the only element that can shield humanity from the curtain’s radioactive particles. She and her caving partner, Dram work the most treacherous tunnel, fighting past flash bats and tunnel gulls, in hopes of mining enough cirium to earn their way into the protected city. 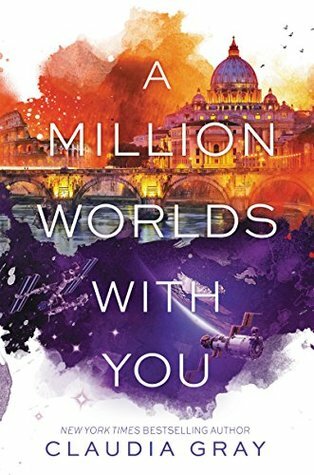 But when newcomers arrive at Outpost Five, Orion uncovers disturbing revelations that make her question everything she thought she knew about life on both sides of the cirium shield. As conditions at the outpost grow increasingly dangerous, it’s up to Orion to forge a way past the flashfall, beyond all boundaries, beyond the world as she knows it. In a world where disease has been eliminated, the only way to die is to be randomly killed (“gleaned”) by professional reapers (“scythes”). Citra and Rowan are teenagers who have been selected to be scythe’s apprentices, and—despite wanting nothing to do with the vocation—they must learn the art of killing and come to understand the necessity of what they do. Only one of them will be chosen as a scythe’s apprentice. And when it becomes clear that the winning apprentice’s first task will be to glean the loser, Citra and Rowan are pitted against one another in a fight for their lives. Jillian Lima’s whole world was destroyed in a span of a few hours. The same night her childhood love, Brock ‘the Beast’ Mitchell, broke her heart, her life was irrevocably altered by the hand of a stranger with a gun. It takes six years to slowly glue together the shattered pieces of her life, but Jillian is finally ready to stop existing in a past full of pain and regret. She takes a job at her father’s martial arts Academy and she’s going out on her first date since a failed relationship that was more yuck than yum. Jillian is determined to start living. She just never expected Brock to be a part of her life again. But he’s firmly back in her life before she knows it, and not only is he older, he’s impossibly more handsome, more teasing and more everything. And when he sees Jillian, he’s no longer capable of thinking of her as the little girl who was his shadow growing up or the daughter of the man who gave him a second chance at life. He sees the woman who’d always been there for him, the one person who believed in him no matter what. Brock knows she’s the one he should’ve made his, and what begins as a tentative friendship quickly turns to red-hot chemistry that sparks a flame that burns brighter than lust. Falling for Brock again risks more than her heart, because when the past sorrow-filled and guilt-ridden past resurfaces, and a web of lies threatens to rip them apart, the fallout could lay waste to everything they’ve fought to build together, and destroy the dreams of those they care most about. Universe. It is through this spirit, previously considered benign for thousands of vampire years and throughout the Vampire Chronicles, that we come to be told the hypnotic tale of a great sea power of ancient times; a mysterious heaven on earth situated on a boundless continent--and of how and why, and in what manner and with what far-reaching purpose, this force came to build and rule the great legendary empire of centuries ago that thrived in the Atlantic Ocean. And as we learn of the mighty, far-reaching powers and perfections of this lost kingdom of Atalantaya, the lost realms of Atlantis, we come to understand its secrets, and how and why the vampire Lestat, indeed all the vampires, must reckon so many millennia later with the terrifying force of this ageless, all-powerful Atalantaya spirit. 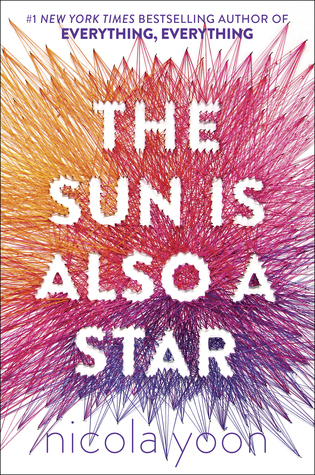 I can't wait to get my hands on The Sun Is Also A Star, Heartless and am also excited about The Chemist! Same! 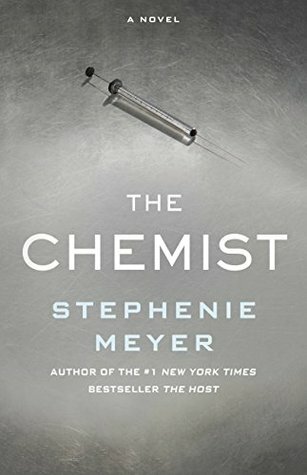 I'm also curious to see if Stephenie Meyer got out of all the negativity surrounding her. The book sounds promising so far! 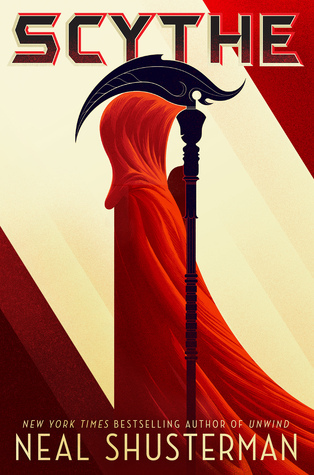 I'm so excited for Scythe and This is Our Story! I wish Stephanie Meyer would just continue with The Host instead of releasing other series.